Dr. Vinod Sasidharan is the Program Coordinator of the Recreation and Tourism Management Program at San Diego State University. His teaching interests include global tourism trends, sustainable tourism, geotourism, ecotourism, cultural tourism, grassroots tourism development, and cross-cultural analysis of tourism, and recreation behaviors. Currently, he teaches Recreational Travel and Tourism Management, Tourism Planning, and Cross-Cultural Perspectives of Tourism. Vinod’s research addresses the concept of sustainable development in relation to the use of tourism and recreation resources from a multidisciplinary perspective, with emphasis on examining these issues within the context of future trends. His research focuses on the examination of socio demographic trends (such as multiculturalism, aging population) and environmental changes (especially, global climate change) and their implications for the management of parks and recreation areas in the urban-wildland interface. Additionally, his research interests also include the evaluation and implementation of grass-roots tourism initiatives, involving local community participation in planning and decision making for sustainable tourism development at the destination level. His research has been funded/supported by federal agencies including the U.S.D.A Forest Service, U.S.D.I. National Park Service, U.S. Peace Corps., nationally-renowned philanthropic agencies such as the Robert Wood Johnson Foundation, and local agencies such as the City of San Diego Commission for Arts and Culture. His peer-reviewed publication record includes book chapters, conference papers, and research articles in scholarly journals, including Managing Leisure, Journal of Leisure Research, Leisure Sciences, Tourism Management, Journal of Travel Research, Tourism Review International, and Journal of Arboriculture. 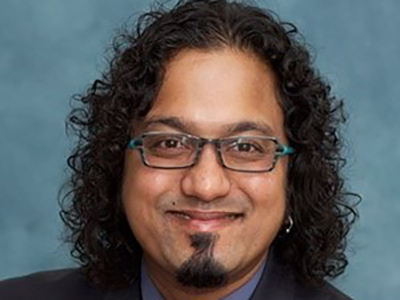 In 2002, Vinod co-edited two special issues of Managing Leisure, entitled “Multicultural Perspectives on Recreation and the Environment.” He has also authored technical reports for federal agencies involved in natural resource management and has made presentations at several international-, national- and regional-level conferences and symposia. Vinod is the President of the California Society of Park and Recreation Educators and serves on the Board of Directors of the Great Western Travel and Tourism Research Association. He also serves on the Destination Marketing Association International Student and Educator Advisory Council. Dr. Sasidharan is an invited member of the International Advisory Committee for the World Leisure Consensus Project, “Leisure and the Quality of Life.” In addition, he is also a member of the Travel and Tourism Research Association, Travel Industry Association of America, National Recreation, and Park Association, and California Park and Recreation Society. He serves on San Diego State University’s International Programs Council and the College of Professional Studies and Fine Arts’ International Programs Committee. Vinod is the International Study Abroad and Exchange Programs Coordinator for the School of Hospitality and Tourism Management [Hospitality Management (HM) Program and Recreation and Tourism Management (RTM) Program]. He also serves as the Chair of the College of Professional Studies and Fine Arts Curriculum Committee and Co-Chair of San Diego State University’s General Education Committee.